← Summer 2012 at Right-Brained Studio! 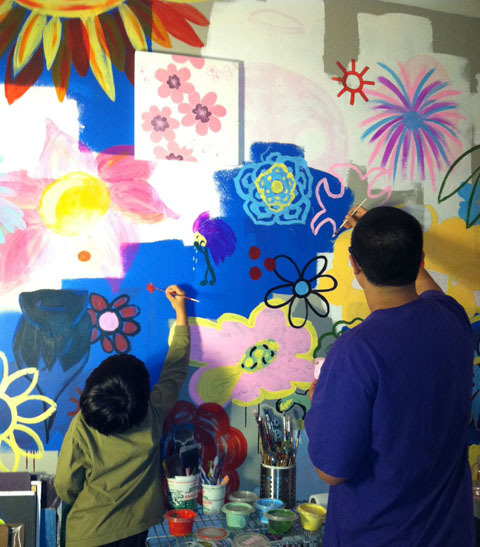 Joe, age 6 and Eric, age 16, contribute their art to our Garden Mural! 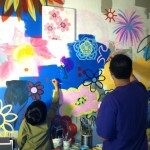 Art Rocks!”, youth artist reception tonight from 6-8pm! Stop by to see our work in progress garden mural as well as artwork by students who have participated in classes at Right-Brained Studio.